LANSING, Mich. — Sen. Dale Zorn announced on Wednesday that he is drafting legislation to prevent deep well injection of brine waste products in the karst topography of Monroe County. Karst topography is a subsurface landscape formed by soluble rock, such as limestone. These formations allow easy movement of underground fluids, including injection materials that could return to the groundwater level and contaminate drinking water sources. “The protection of Michigan’s water is of the utmost concern, especially in areas where residents depend on wells for their drinking water,” said Zorn, R-Ida. “My bill would protect residents in karst areas throughout Monroe County and along Lake Erie and major waterways. The uncertainty of karst formations when pressure and heat is applied is concerning to me and should be to any regulatory agency. Current law requires both a federal and a state permit to inject brine into underground wells. Zorn’s bill will target state law to effectively rule out siting such a well in these sensitive underground settings. Under Zorn’s legislation, deep well injection would be prohibited in Monroe County, where karst topography exists and is within 25 miles of a major body of water. 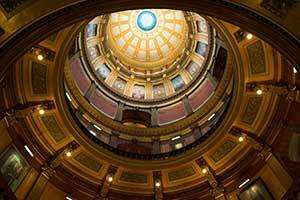 Rep. Jason Sheppard, R-Temperance, will offer concurrent legislation in the Michigan House of Representatives. LANSING, Mich. — The state Senate passed measures on Wednesday to increase restitution and toughen penalties for individuals convicted of the illegal killing, possessing, purchasing or selling of certain animals in Michigan. Sen. Dale Zorn is the sponsor of two of the bills in the package, Senate Bills 245 and 246. Under SBs 245 and 246, an individual convicted of illegally killing, possessing, purchasing or selling moose or elk would lose their license for 15 calendar years for a first offense and for lifetime for a second offense. If the animal were a bear or antlered white-tailed deer, the individual would lose their license for five calendar years for a first offense and for ten years for a second offense. SBs 244, 245 and 246 now head to the Michigan House for further consideration. LANSING—Sen. 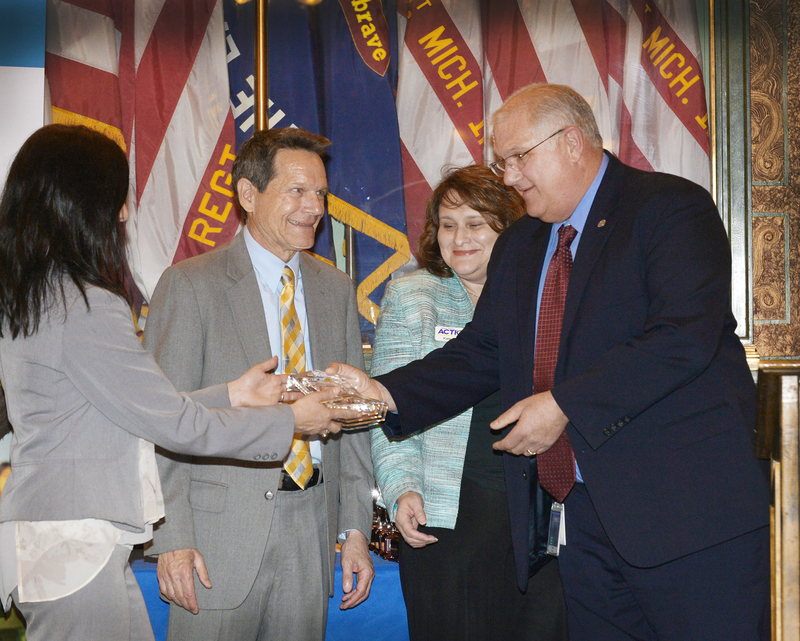 Dale Zorn, R-Ida, was named Legislator of the Year by Michigan Community Action during the organization’s Community Action Awards ceremony at the state Capitol on April 30. 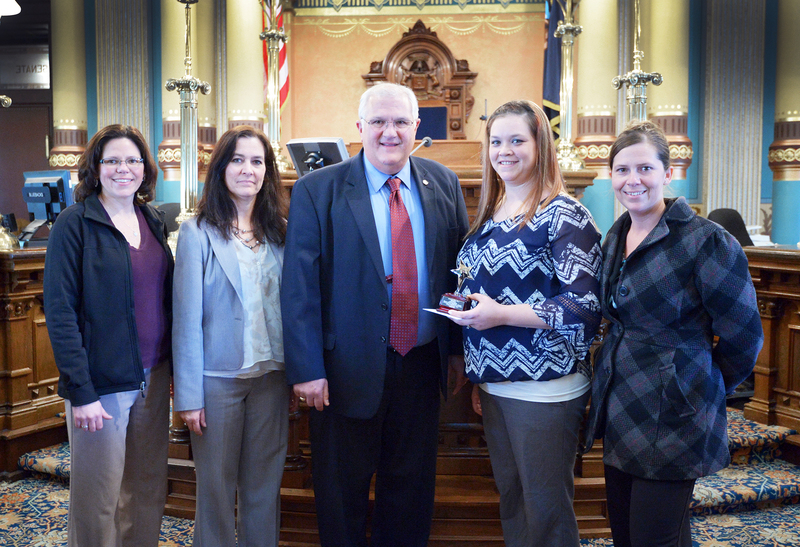 Zorn was honored for his work on legislation to assist low income residents with weatherizing their homes, which can provide significant energy savings. LANSING—Sen. Dale Zorn succeeded in securing more than $800,000 for Michigan International Speedway (MIS) traffic control in the budget plan approved on Tuesday by the state Senate. Zorn’s amendment was adopted to Senate Bill 133 and would dedicate $831,900 to the Michigan State Police for traffic control at MIS. SB 133 is the Senate’s omnibus budget bill for Fiscal Year 2016, which begins on Oct. 1. SB 134 is the Senate’s omnibus FY 2016 budget for school aid, higher education and community colleges. Both measures have been sent to the House for consideration.